Camille Marchetta has worn a lot of hats in her illustrious career. 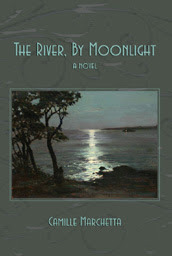 Not only is she the author of the new literary novel, The River, By Moonlight, she has two previous novels to her credit. She was also on the staff of the television series Dallas, produced Nurse and Dynasty, co-executive-produced Falcon Crest, and was a story consultant on Central Park West. She also co-authored two bestselling novels with Ivana Trump. We asked her to join us today to talk about her scriptwriting days as there are a lot of aspiring scriptwriters out there who would love to hear about Camille's expertise in the entertainment industry and find out how they can do it, too! Welcome to The Writer's Life, Camille. I remember the Dallas series well, as I was glued to the set to find out Who Shot JR? just like the rest of the world was. Can you tell my readers just what Who Shot JR? was all about and why everyone was just as addicted as I was? Thank you for inviting me. It's always fun to talk about Dallas. It's incredibly confusing, even to me who was there, but what is usually referred to as the "Who Shot J.R.?" episode was the last one of Dallas' second season (I think there were 13 seasons in all). It was the cliff-hanger, so fans had all summer to wonder who had shot the guy. It was a great episode, with anyone who had ever had a grudge against J.R. vowing vengeance in almost every scene. There were a lot of suspects, believe me. The show was a big hit by then, and a kind of mania seemed to take over, with the tabloids exploiting the story, the bookies taking odds, the office getting broken into, and bribes being offered to cast and crew and production staff. I've never experienced anything like it, before or since. People just loved that show. Part of the reason why was the glitzy glamour of the Ewings and the huge quantities of oil they seemed to control (there was a shortage at the time it went on the air), but I've always believed its appeal went far deeper than that. Underneath all the melodrama, there was something very real about the family dynamic, and I think the audience related to that on a vast scale. And somehow, in that classic cliffhanger, we managed to hit the right balance of drama, suspense, and FUN. By the time the show went back on the air in the autumn, it had passed from hit to mega-hit to myth. Who actually shot J.R. was revealed in the fourth episode of that season. Would you say that was the beginning of nighttime soap opera? The first nighttime soap, as I recall, was Peyton Place, in the 60s. That, too, was a big hit. But certainly the form had long been out of use in this country by the time Dallas came along. It wasn't created as a serial. I think it wasn't until Sue Ellen became pregnant that the writing staff realized there was no way to finish off that story in one episode. It had to go on – at least for 9 months (or the television equivalent of it). CBS was at first reluctant, but finally gave its consent. A very wise decision, as it turned out. How did you get the position of working for a show that will go down as one of the most watched shows of the era? My agent, Lynn Pleshette, had sent a spec script of mine to David Jacobs, who also happened to be a client of hers. He liked it, but since he wasn't able to get me an assignment on the show he was then story-editing, he promised he would hire me the first chance he got. And he kept his promise. When CBS Okayed a mini-series based on David's pilot for Dallas, he gave me one of the scripts to write. After that, I joined the staff in the first season as story-editor. I am aware there were other scriptwriters involved in that season of Dallas. What role did you play? Were you ever in disagreement with the other writers? For the couple of years I was on the show, I was the story editor. Arthur Lewis, the executive-story editor, the producer, Leonard Katzman, and I were the entire writing staff. We would work out storylines together, take turns writing scripts, and use freelance writers for every fourth or fifth episode. Of course we all disagreed, and a lot. That's the fun of story meetings. But the disagreements never got nasty. We all liked and respected each other too much for that. In the room, Leonard Katzman had the final say; but of course we had Lorimar and CBS executives to contend with. Though, the more successful we got, the more they left us alone to do as we wished. David Jacobs originally created the idea of the series. What was he like and was he hard to work for? I only worked with David on the mini-series and found him to be very kind and generous and totally supportive of my work – though he rewrote my entire script. But that happens all the time, and often has to do with production changes. By the time I joined the staff, David had moved on, to create and produce Knots Landing. Larry Hagman who played JR Ewing often was portrayed as the man most people would love to hate; but off camera, he was known to play practical jokes to lessen the tension caused by filming schedules and highly emotionally charged scripts. Did you ever see any of these practical jokes in action? Yes, I did. Larry and Patrick Duffy, who played Bobby, were both great practical jokesters and tried constantly to out-do one another. They were a lot of fun and hugely responsible for making Dallas such a happy show to work on for all of us involved with it. Do you think you would ever return to scriptwriting and why or why not? Of course I'd return to scriptwriting if an interesting enough project came along. I grew up loving film and television, as well as books. No matter what the form, I love writing. What can you tell aspiring television scriptwriters about the business so that they can be more prepared going into it? Imagine this: you spend weeks, sometimes months of your life working on a script; you do the best job you can; in fact, you think you've done a pretty good job. Full of pride, excitement, expectation, you turn it in – only to find out that a huge number of people (the producer, production company executives, network executives, etc.) think you've missed the goal -- by an inch, by a few feet, by a mile, it doesn't matter -- you've missed it. It's like giving birth to a child, presenting it to the world, and instead of praise for the perfection of your baby, what you get is a litany of its failings. It hurts. Always. That's when, if you really want to be a television (or film) writer, you have to step back, take a breath, remind yourself that there's no way on earth you could have delivered the ideal script they've been carrying around in their heads since long before you began writing. You were destined to disappoint. It's not your fault. Also, their concerns are different from yours. You want to create a masterpiece. Sure, they'd like a masterpiece too, but one that's brilliant -- their way, not yours, and will earn them a lot of money too. Your job, as a paid writer, is to give them what they want. So, lick your wounds, try to make sense of their (sometimes conflicting) notes, and look for a way to rewrite the script that will both protect its integrity and meet their needs. It's not always possible, but a professional writer has to try. Thank you for the interview, Camille. Thank YOU. Talking about Dallas has brought back a lot of happy memories. 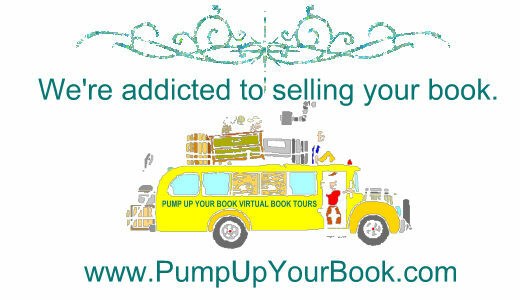 If you'd like to learn more about Camille Marchetta, visit http://www.camillemarchetta.com/. If you would like to leave a comment, click here! Welcome to The Writer's Life, Camille! This is a fabulous interview! I was a Dynasty fan, myself, but who could not get caught up in the whole Who shot J.R.? saga? You mention the serial in this interview, Camille, and it seems that more shows today use these long story arcs than the shows that were on when I was a kid growing up in the 70's and 80's. Would you agree with that statement and, if so, why do you think that has changed? Also, what is the likelihood that someone who doesn't live in NY or CA will ever become a successful scriptwriter? Thanks. Good luck with your tour. Thanks for droping by. And I'm glad you liked the interview. I think you're right about shows using longer story arcs now than they did before. To me it seems a sign of the growing sophistication of television writing. There was something very artificial, very unreal about trying to wrap everything up in one episode, as used to be the case. It's much more real, not to mention interesting, to have characters change and grow and deepen as their stories evolve. And this is the general case now, even when individual storylines, as in the CSI shows, are completed in one episode. AS for where a writer lives, it would be very difficult, I think, for anyone to start a career in television without living in either Los Angeles or New York. That's where most shows are produced. And it's a very collegial business. Writing is only a part of it. Meetings are essential. That's where the stories get worked out, issues discussed, problems solved. You have to be on the spot. At least that's true in nighttime TV. Daytime is different, I believe, but I have no experience of that.